The house where police officers discovered the bodies of two men and hundreds of hypodermic needles is one of thousands of properties in Lorain County delinquent on taxes. News 5 discovered the homeowner died in 2017. 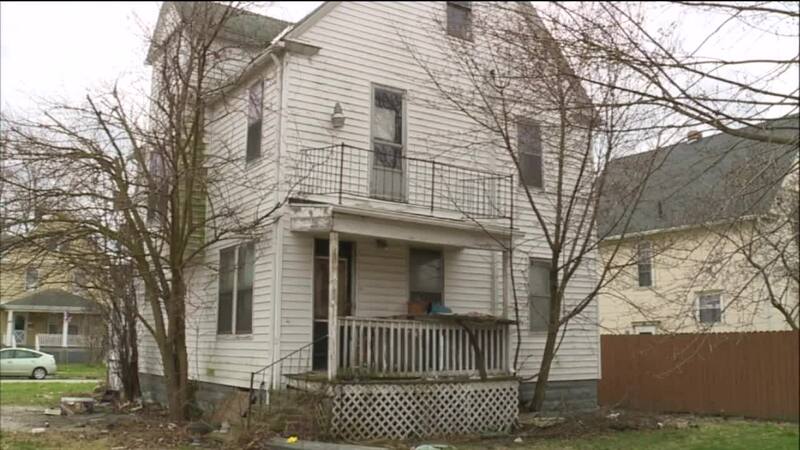 LORAIN, Ohio — The house where police officers discovered the bodies of two men and hundreds of hypodermic needles is one of thousands of properties in Lorain County delinquent on taxes. According to the county treasurer’s office, the last tax payment for the house on West 26th Street was made in July 2015. Since that date, unpaid taxes have piled up, resulting in a debt of $5,690.78, with an additional $512.14 due this coming July. The treasurer’s office said the county prosecutor’s office sent a letter to that property in September 2018 to notify the taxpayer of the delinquency and warn that the parcel was subject to foreclosure proceedings. There was one problem: the homeowner died more than a year before the letter was sent out. News 5 called the county health department and found out the homeowner died in August 2017. According to the city of Lorain’s Building, Housing and Planning Department, the property was cited for high grass violations in 2016, 2017 and 2018 and has also been cited for the house’s roof, porch, garage and broken window. Pyanowski said generally, a property is eligible for tax foreclosure after two years of delinquency and said that 6,000 to 7,000 properties in the county meet that criteria. The process to begin a foreclosure isn’t an exact science. It typically starts with a warning letter. In that letter, the prosecutor’s office tells the property owner his or her property is eligible for foreclosure and asks the person to contact the county treasurer to get on a payment plan and catch up the taxes, Pyanowski said. Generally, that plan allows the property owner about two and a half years to catch up on back taxes. That works in about half of cases, and in the other half, the county may choose to begin the foreclosure process. From that list, Pyanowski said, the county identifies a number of properties on which to focus. Usually, those are the properties that are most delinquent on taxes or sometimes nuisance properties. For now, the county prosecutor’s office aims to file about 30 foreclosure cases each month. “We get the title work, we get the case filed with the court and the foreclosure process starts,” Pyanowski said. In total, the prosecutor’s office said it has sent about 10,000 letters in the last four years and that the county has recouped about $25 million to $30 million. “A large amount of that goes to the school districts, about 60 to 70 percent, and the rest of it goes to different entities that are entitled to recover that money,” Pyanowski said. This year, the prosecutor’s office is working to foreclose properties that are $14,000 or more delinquent. Last year, the threshold was $20,000 or more. However, “we leave space within our annual capacity of what we can foreclose on to add additional properties, whether it’s a nuisance property or some type of unique circumstance,” Pyanowski said. Back on West 26th Street, the county and city will now have to decide what to do with the house that sits at the end of the street. With trash littering the porch and yard and the windows boarded up, it’s now on the county’s radar. If the land bank won’t take a specific foreclosed property, that kicks off another process that could take some time. The property would then be offered at two sheriff’s sales, which involve public auctions. The minimum bid would be the back taxes and court costs, Pyanowski said. If no one bids, the property is forfeited to the state, and once a year or so, the auditor holds a forfeited land sale. There, at another public auction, a potential buyer could offer an amount lower than the minimum bid. Pyanowski said several county and city agencies will discuss what to do with the property on West 26th and that there may be additional cleanup required, given the condition of the house and potential hazards inside.